CSJV are achieving best practice by using low emission rating machines on site. 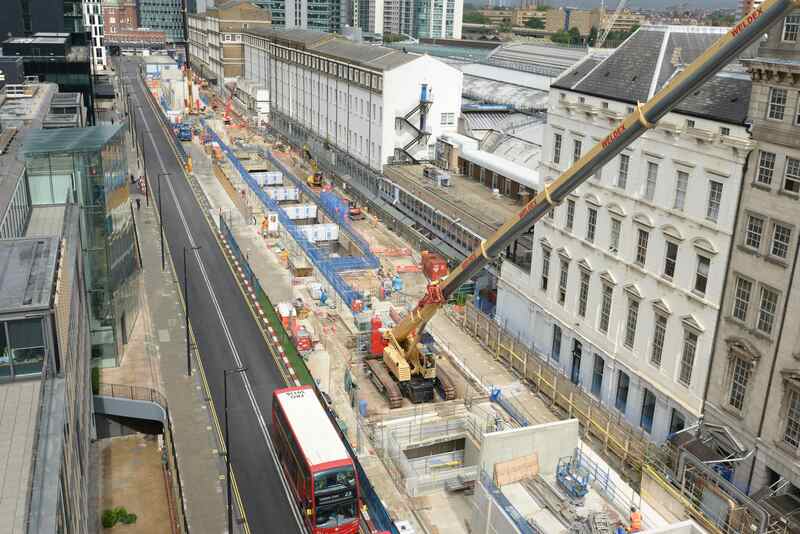 The site had over 30 Non Road Mobile Machinery (NRMM) at the latter end of 2013 due to an extensive programme of works which included the reinstatement of Eastbourne Terrace, excavation of the box and utilities works. Because of this programme, new plant were arriving on site each week. This presented a large challenge to CSJV to ensure all of the NRMM had low emissions ratings. The target set for NRMM on site with engine output >37kW is to meet EU emissions tier IIIB or be retrofitted with a Diesel Particulate Filter (DPF). This is over and above typical requirements and was achieved for almost all of the large number of NRMM on site. Subcontractors are informed that all plant must be compliant with EU emissions ratings or retrofitted with DPFs. The Environment team are informed of new plant on site and the engine specifications are checked against the target. This approach to NRMM makes steps towards improving the air quality of the area in which our employees work and in which our stakeholders live and work.